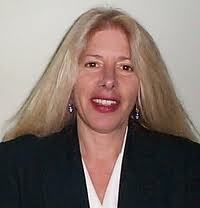 Rosa Koire is a retired forensic commercial real estate appraiser specializing in eminent domain valuation. Her twenty-eight year career with the California Department of Transportation (District Branch Chief) as an expert witness on land use has culminated in exposing the impacts of Sustainable Development on private property rights and individual liberty. In 2005 she was elected to a citizens' oversight committee in Santa Rosa, Northern California, to review a proposed 1,300 acre redevelopment project in which 10,000 people live and work. Her research into the documents justifying the plans led her, with her partner Kay Tokerud, to challenge the fraudulent basis for the huge Gateways Redevelopment Project. The City, in an attempt to block Koire from exposing the project, removed the neighborhood in which Koire and Tokerud's properties were located from the redevelopment area. Koire and Tokerud fought on, however, not wanting to abandon the thousands of business and property owners still in the area. They formed a business and property owners association and a non-profit organization (Concerned Citizens of Santa Rosa Against Redevelopment Law Abuse) and were able to raise nearly $500,000 in donations and pro bono legal work to sue the City of Santa Rosa to stop the project. The court case, Tokerud v. City of Santa Rosa, lost in Superior Court but the court ruled that they could continue, and they appealed to the San Francisco First District Court of Appeals where they lost again in 2009. The three years of litigation fighting eminent domain and the redevelopment project succeeded in delaying the project while the economy collapsed--the City has failed to implement its plans, but, if Redevelopment had not been ended in California in 2012, would have had the power of eminent domain over the 1,100 acre area until 2018. In 2010 the non-profit organization she and her partner founded was expanded in scope and renamed The Post Sustainability Institute. Rosa speaks internationally on UN Agenda 21, blogs regularly on the Democrats website, and is the author of BEHIND THE GREEN MASK: UN Agenda 21.